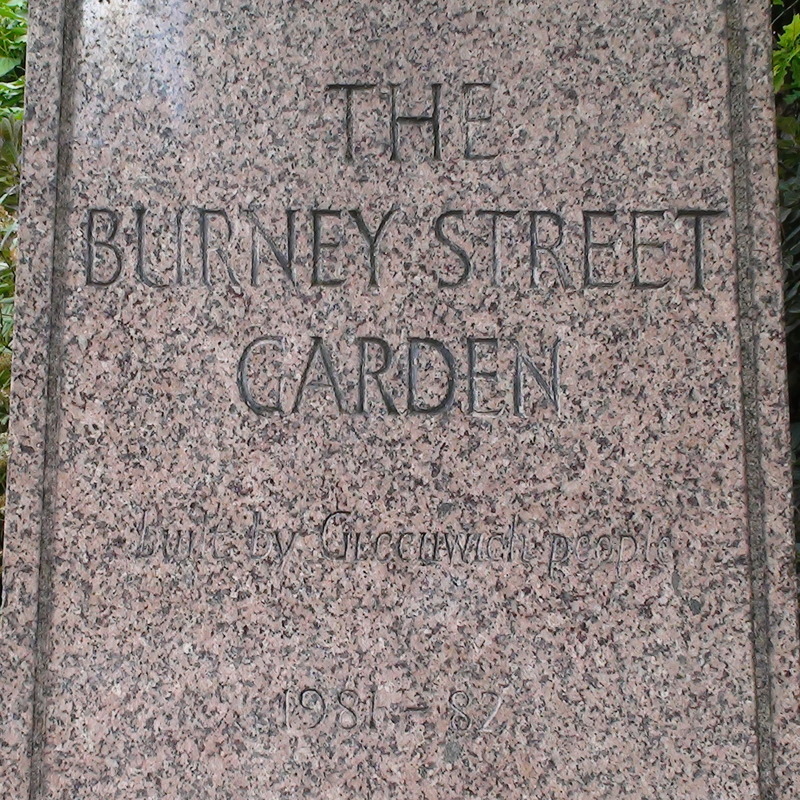 Burney Street Garden, built by Greenwich people, 1981 - 82. From the Greenwich Society website we learn that this garden was created by the Society out of a bomb site. 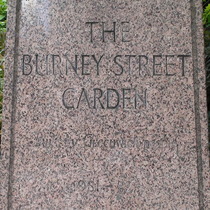 The Victorian-style marble monument was, apparently found on the site and the inscription added. There is also suposed to be a plate (plaque?) "commemorating the donation by the Duke of Edinburgh of an oak tree". We think the tree is the one standing on its own in the grass but there is no plaque of any sort about it.